MeteoroiD to Make Their US Debut at Tokyo in Tulsa | VKH Press – J-Rock & Visual Kei Coverage Worldwide! ODESSA, TX (November 11, 2015) – Next year, visual Kei Band MeteoroiD will be debuting in the US at Tokyo in Tulsa, an anime convention held annually in Tulsa, Oklahoma. While at the convention, fans can expect for MeteoroiD to participate in the live concert, Q&A panel, meet and greet, and the VIP Sakura Club dinner. Stay tuned as more announcements about event participation and event schedule details come. Tokyo in Tulsa will be held from July 15-17, 2016 at the Cox Business Center and DoubleTree Hotel in Downtown Tulsa. Registration is now open and until February 2, 2016, those who wish to attend can purchase a 3-day membership at the special Early Bird rate of $35. Those who wish to purchase a Sakura VIP Pass can purchase this exclusive 3-day membership for $175. About MeteoroiD: MeteoroiD was formed originally in 2013 under the name METEOROID and consisted of vocalist Genki, guitarists Yutori and Machi, bassist raL, and drummer Tomoya. In February of that year METEOROID released their first single, “Diver.” With the release of this single, they quickly caught attention in the visual kei scene with their unique look and sound combined with their eclectic and vibrant personalities mixed together on stage. On the 6th of August they released their first full album, “GEMINI.” However, in September of 2014 guitarist Yutori left the band. Following Yutori’s departure, METEOROID officially became MeteoroiD and embraced not only a significantly darker image but took on a heavier sound as well. 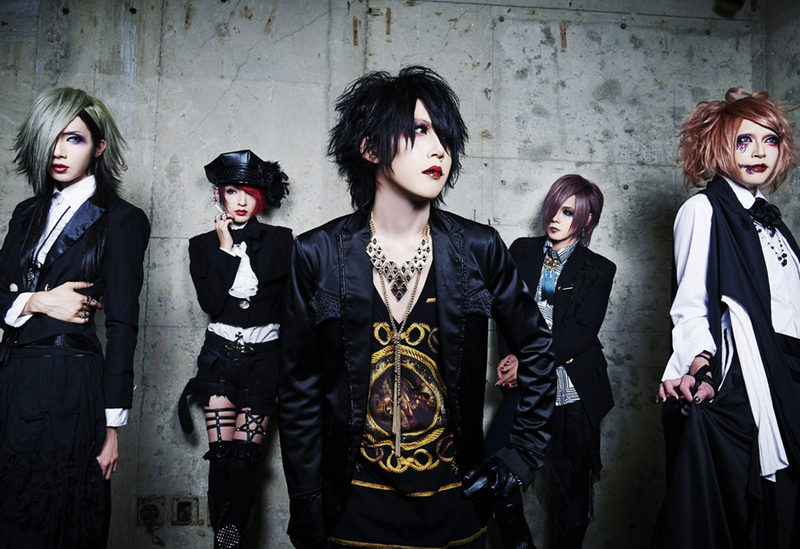 In November of 2014, MeteoroiD welcomed their newest member and guitarist Mikado to the band. Completely reborn as “MeteoroiD,” they released their first single “Sokubaku” in January of 2015. MeteoroiD are now set to make their US debut in 2016 at Tokyo in Tulsa!